Home / Food / Sources of zinc in our food . Sources of zinc in our food . Zinc is one of the most important minerals for a healthy body. It is essential for more than 300 enzymes to perform their needed functions; it also plays a leading role in maintaining a good immune system and repairing damaged body tissues. cheese and milk are a good source of zinc and many other nutrients that maintain bone and body health. fruits and vegetables in general can’t give zinc but some exceptions like green beans and potatoes have reasonable amount of zinc. Eggs are the best food to fulfill your zinc daily target, beside that It helps promoting a good nervous system. rice, oats, Wheat, and quinoa contain good amount of zinc but also have phytates that will reduce the ability of absorbing zinc very healthy. Red meat is rich with zinc as well as protein, but consuming large amount of meat could be harmful raising the risk of cancer and heart diseases. a 80 % dark chocolate bar contains about 3.3 mg of zinc but also have high amount of calories. pumpkin Seeds sesame, flax, can fulfill up to 33 % of body daily target of zinc, it also contain fiber, vitamins and minerals to give your very healthy diet. 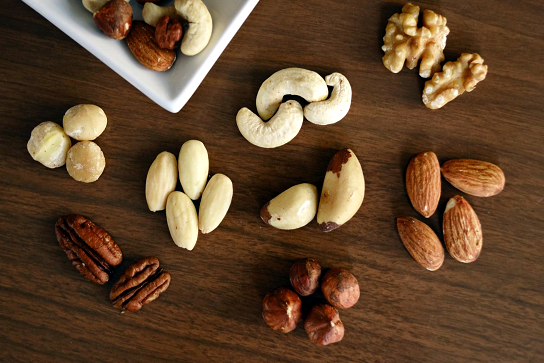 Nuts like peanuts, almonds, or cashews have sufficient amounts of zinc and also protect you from cancer, heart diseases, and diabetes.